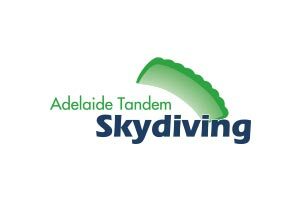 Located a short 45 minutes drive from Adelaide, Adelaide Tandem Skydiving is South Australia's most experienced skydiving centre. Our world-class skydiving instructors are dedicated to ensure all of our guests have the best skydiving experience. Our specialty is first time skydivers wishing to make a tandem skydive and those wishing to become skydivers themselves. Our skydiving centre has turned out some of Australia's best skydivers and drop zone operators located all over Australia. Many of our staff hold multiple National and World records for skydiving. So what are you waiting for? Join us over the skies of Lower Light - the closest skydiving centre to Adelaide, or at our beautiful winery regions in the Barossa or Clare Valley's, or come and jump with us over the Beach. NEWSFLASH!! We are now open at four locations. Our Lower Light all in one drop zone, and now also Tandem Skydiving in the Barossa Valley, Clare Valley and super soft beach landings at Thompsons Beach. Why not do your Tandem Skydive with us over the beach? A different view with the ocean and across the Gulf to Ardrossan and back to the City of Adelaide with soft beach landings. 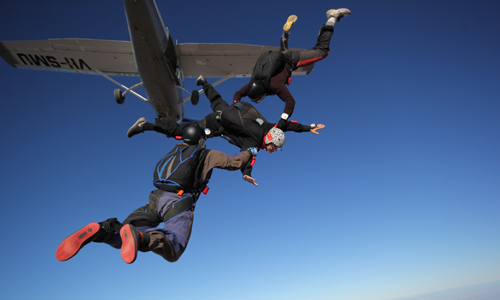 Have you watched skydiving and thought you'd love to do it, but thought it was beyond you? That's what many people think but that does not have to be your reality. 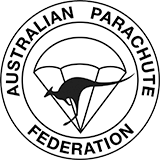 Adelaide Skydiving offers a world class progressive training program that takes you from knowing nothing to becoming a solo skyidver in nine jumps. If you want to become a skydiver, it can be your reality. Why not take a week off work and you can complete your Solo course from Monday - Friday. Or we can do your ground training on one day during the week (normally Friday) and start your Solo course on Saturday. Once you have completed your skydive with us, please take a few moments and click here to review us on Trip Advisor. I had an amazing time in my 1st jump.